Every time I heard someone say they were traveling to Thailand, I used to quietly think it's one of those shoddy trips, those 3 night - 4 day packages to Bangkok + Pattaya, and I had never bothered to read about Thailand either. 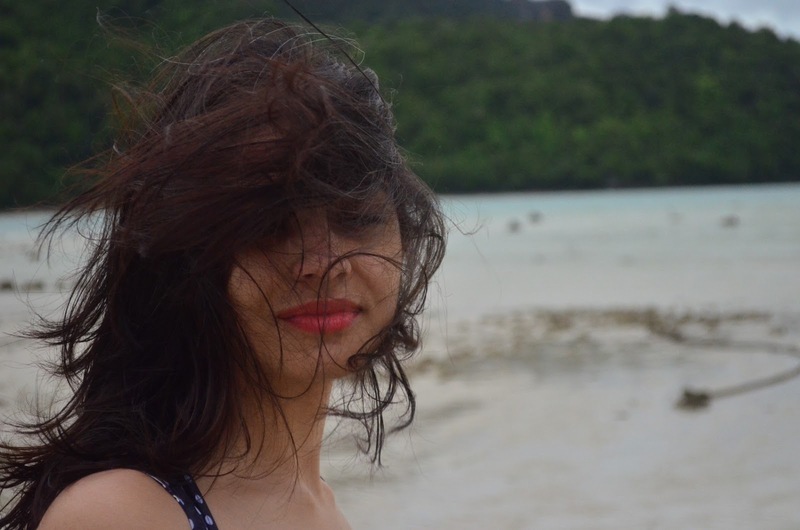 And then one day, Krabi happened. I could hardly believe the postcard perfect photos I was seeing online, away from the hustle of traffic, shopping, touristy things, the dance bars, go-go bars and away from all my assumptions. Thailand has several small islands - some that allow tourists to wander into. 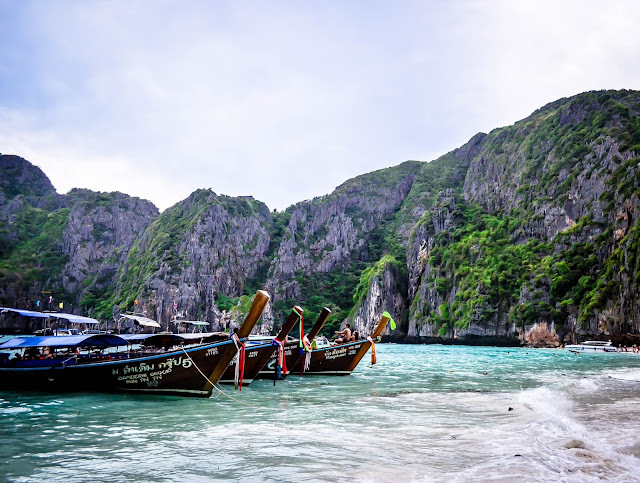 We spent a few nights in Phi Phi after spending a night in Krabi town. 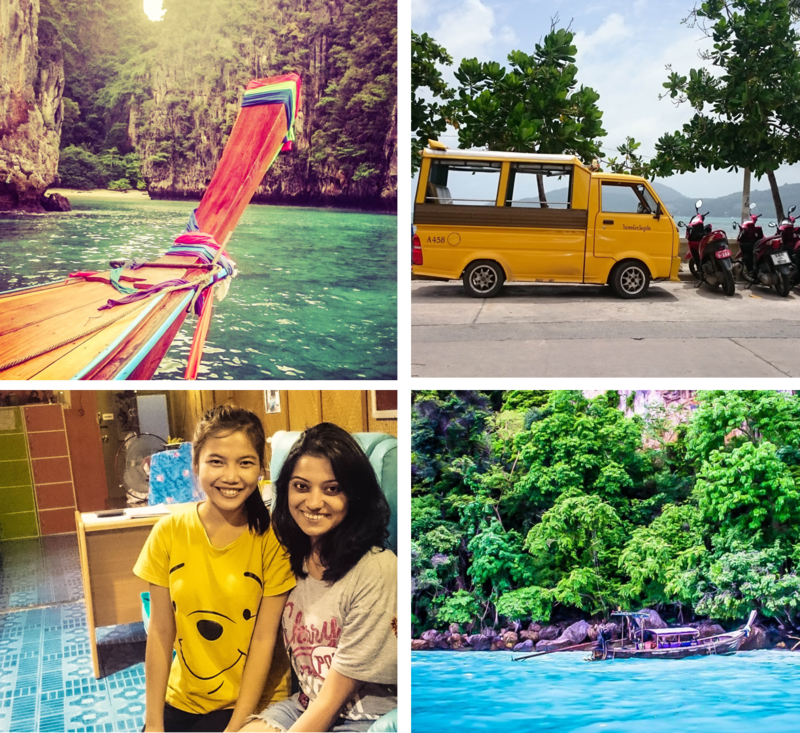 We then took a ferry to Phuket and loved the vibe there, took a one hour flight to Pattaya and loved some of the quieter spots the city has to offer, and finally a bus to Bangkok. Bangkok was something else, one that embraces old and new, modernness and traditions. Some of my favourite picks from our 2 weeks holiday :) - Part 1 - Krabi, Phi Phi and Phuket. Some of these are from my Instagram feed - I could totally get used to the island life. 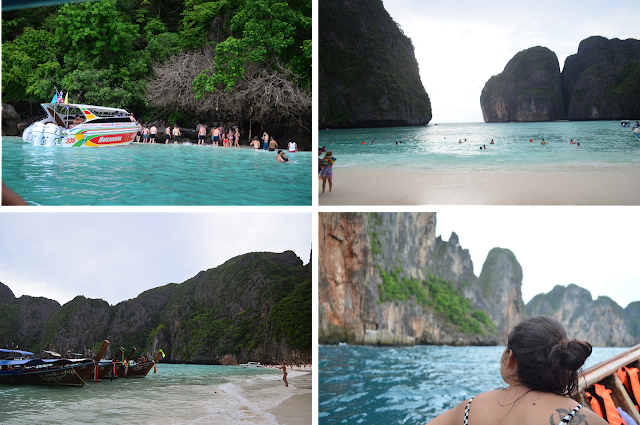 From top left - the secluded island where the movie 'The Beach' was shot, in Phi Phi. It was truly beautiful, with the crystal clear water. After staying in PP, we had a hard time coming back to city and seeing vehicles - seen here is the famous Tuk Tuk of Thailand. We had taken a half day tour around Phi Phi for around 700 THB and it was totally worth it. The good (and the bad) part of the island is since you have no other choice, you have to pay the price - which is a standard price across the island - so there's no monopoly or competition. Whether it is for booze, tattoos or diving, the prices are the same throughout. Small differences in the service though. We realised that the prices on the island are higher than the mainland, but it is SO WORTH IT. Almost everywhere we went, there were massage parlours. And in this particular one, we met a lovely girl, hardly 17. She was full of smiles, and she did an amazing job with my feet. Her name is Chan, she had taken a break from school to help her mother make some money. The massages are less than 500 THB, and I enjoyed them. Something that surprised me was that in some of these massage parlours, during low footfall, the TV would be on. And guess what, I could see familiar soaps from Zee or Colors, being dubbed in Thai, playing. 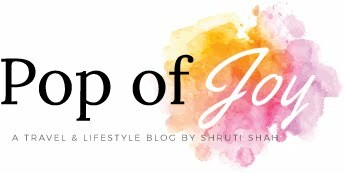 Ekta Kapoor has an audience far and beyond what she knows, wish she could be more responsible with her story telling. Phi Phi - Even someone who isn't a beach fan, can be converted to one. 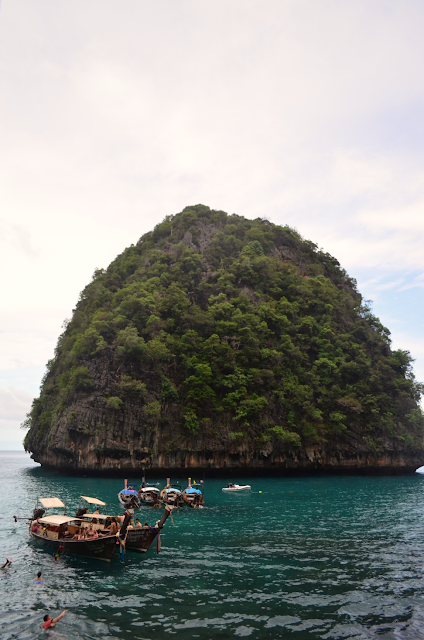 I can write about the beaches, cliffs and water forever - Thailand is so blessed. We had taken a long tail boat around the island. We stopped at a few spots to snorkel - the water was warm - and in spite of the monsoons, the visibility was quite decent. Some of the reefs were so full of life, I felt like an alien in their world. We chose the half day tour - would the full day tour have been better ? I guess so - the more time on water, the better, but you also have to think about time and energy. We had a couple of dives planned the next day, so we didn't want to exhaust ourselves. 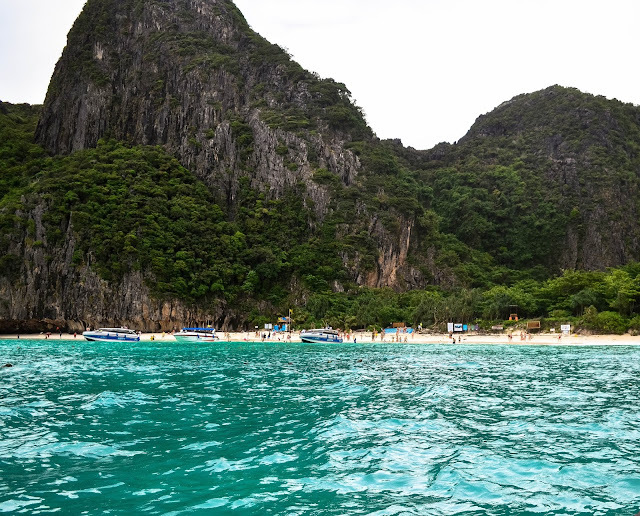 We stayed for 3 nights in Phi Phi, and if you're a water person, that's just not enough. Imagine, walking straight out of your hotel, and swimming in the gentle light blue waters. Postcards from Thailand are made up of these. We swam her for a while, the waves were so gentle. Because deep inside, we all love our photos taken. Bottom left - I was checking out what the lady was selling - and yes, it was cockroaches and locusts and crickets and all that. I was amused. I think they were frogs too, deep fried. We stayed right on the beach in Phi Phi. 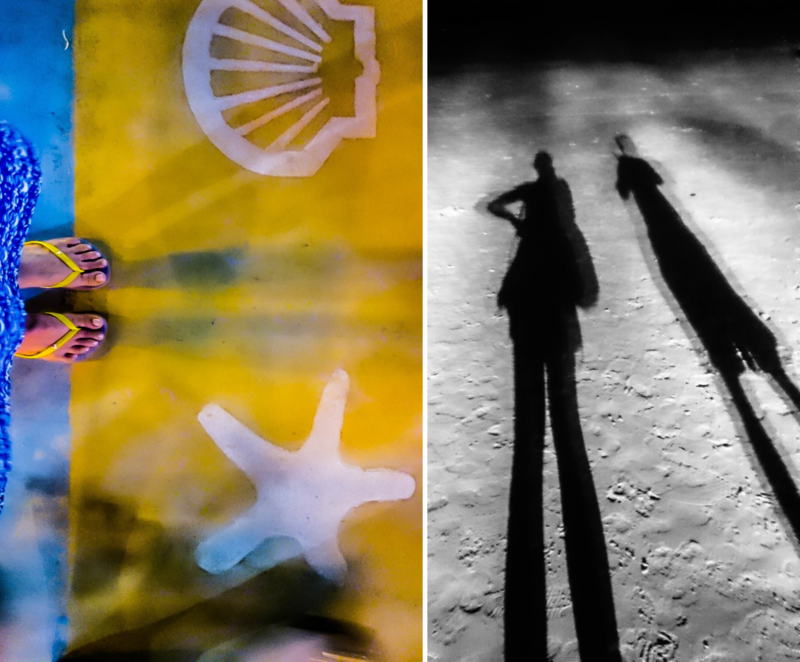 After walking from the pier to our hotel, I wanted to dump my bag and run out into the soft white sand. That was heaven for me. Suddenly, I felt peaceful, special and so lucky. There is nothing like loving your life, especially when you have your feet on the soft sand, the wind through your hair and turquoise water all around. 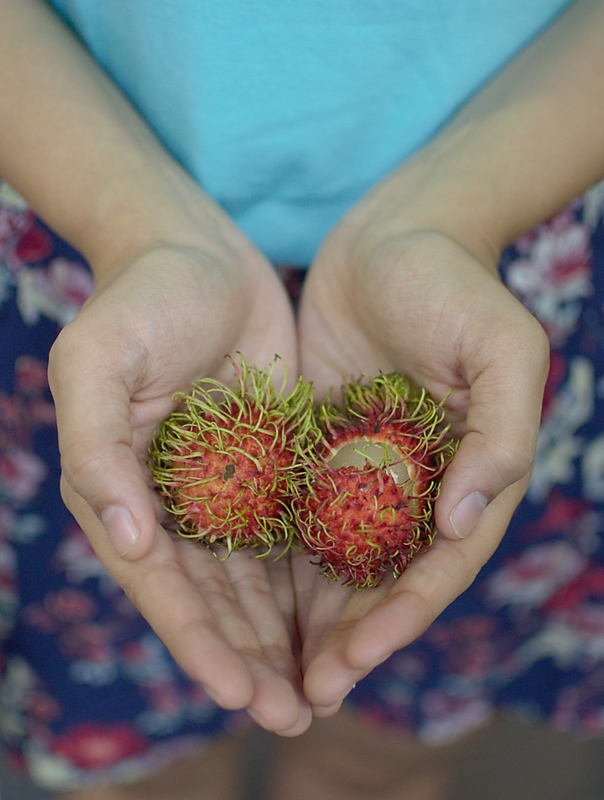 There are several fruits native to Thailand - including the mighty addictive Rambutan and Mangosteen. In fact, I would walk around with a small bag full of fruits so I was not tempted to junk eat. 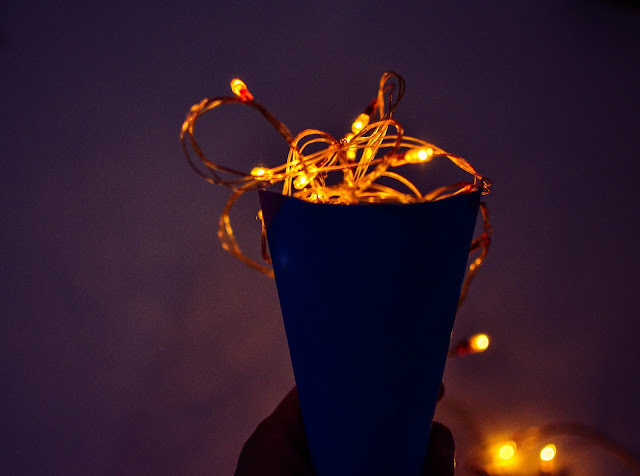 They were dirt cheap, cheaper than the cheap booze. Cheap fruits, imagine. Especially since where I stay, these fruits are all imported and are so expensive. On the island, you get all sorts of food, from hummus to pizzas to delicious chocolate and banana pancakes - Thai style. There are a lot of Seven Elevens. And they sell everything, from a quick snack to a ready to eat lunch pack. 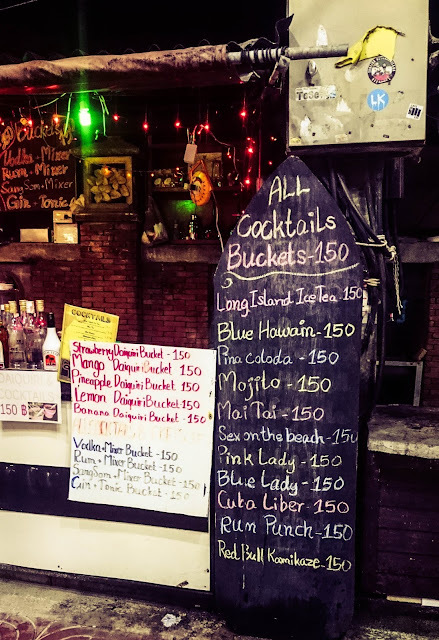 Dirt cheap booze, buckets for as cheap as 150 THB. (5 US dollars). - Dreams do come true. Fire dancers by the beach. Days would end with us watching fire performers - kids as young as 10 yo would enthral the audience with crazy stunts. We would wake up lazily, except on the day we had to dive - that day we woke up at 7. 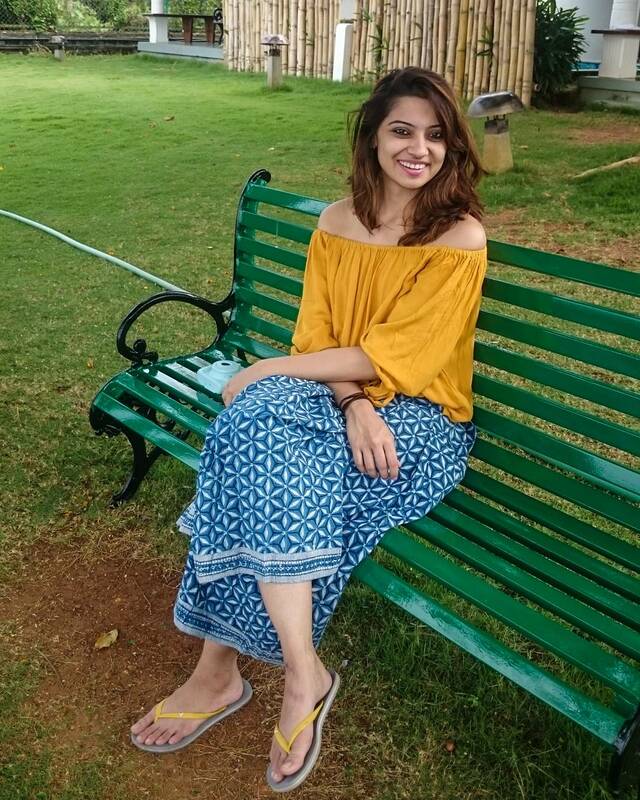 I would eat some fruits and then stop at a small stall and buy a fresh juice. We could choose combos - I would invariably choose mango with some fruit. 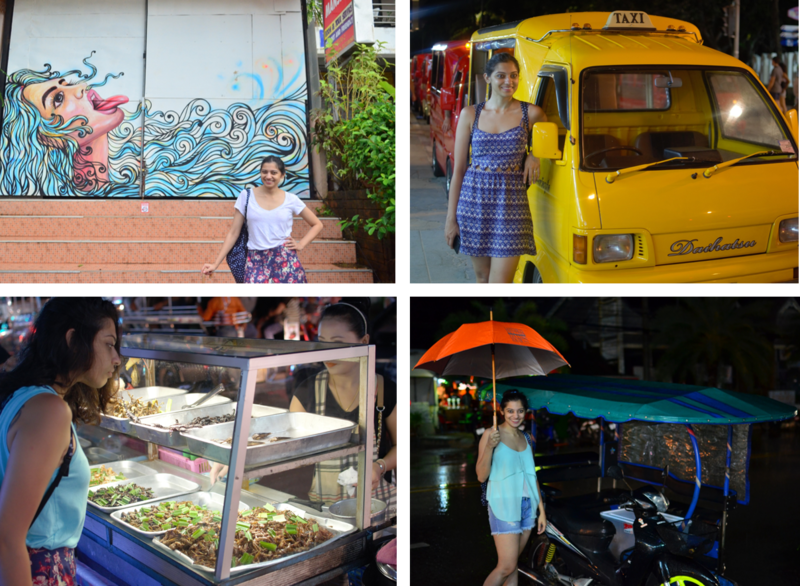 We would then walk around the small lanes of Phi Phi, have some nice and random conversations, and stop for a brunch. There are so many eateries, we were spoilt for choice. We would then hit the beach, maybe rent a kayak, just swim and then I would happily get a tan. Some days were more sunny that others - as July is supposedly rainy. After another fresh bath, we would catch some lunch - the traditional rice, fresh veggies and clear soup. Some more beach time, beer time, and then maybe a massage. (The massages were good value for money) As the sun sets, we would nestle into a 'on the beach' club and get groovy. The party scene is quite nice, and if you're adventurous, awake, and if it is a full moon night, you can actually get a nice swim amidst all the partying. The water gets cool by night. We actually felt extremely relaxed - a perfect vacation. 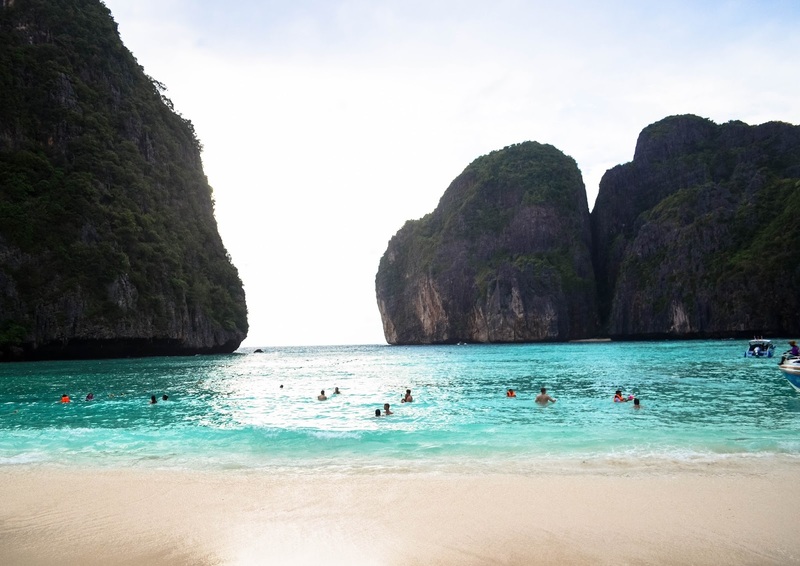 Thailand is the eternal truly 'holiday; destination. Love the general vibe of 'relax and enjoy' there. I totally agree, it's a very backpacking & laid back sorta place !